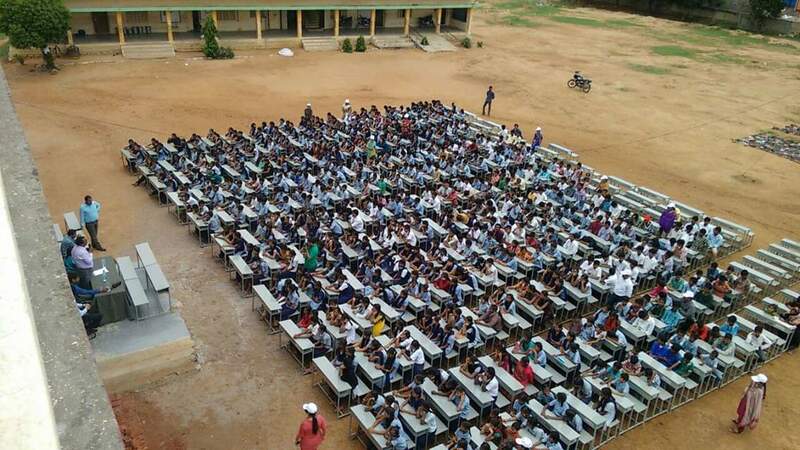 We are raising money through crowdfunding to build 2 classrooms in a Government school (Zilla Parishad High school -ZPHS) located 30 kms from Hyderabad in the town of Janwada. They have just one school and this village has a 5500 population with about 1000 homes. The 2 classrooms will house 100 students. The classrooms are approximately 480 square feet each. We will also be constructing the corridor and the staircase. The total cost will be approximately 17L INR. We are looking to raise 4L ₹ through this crowdfunding campaign. Your funding will give 100 students a fresh breath of life. Please fund this campaign and spread the word. Let’s give these children better education. The above image is the geotag for ZPHS Janwada. The school is located in Ranga Reddy district which is 30kms from Hyderabad. ZPHS Janwada is a government school located about 30 kms from Hyderabad in the Ranga Reddy district of Telangana. The school currently has 300 students and 8 classrooms. It caters to the children from the nearby villages. The school requires 2 additional classrooms in order to accommodate another 100 children of class 9th and 10th. These kids currently go to school in shifts to be able to share the same classroom due to lack of space. The total cost of building these classrooms is ₹ 17L. There will be a 3-5% variation in the final cost due to variations in various costs at the time of construction. The construction work will be done primarily by workers from surrounding areas. This will enable employment to the locals. Since their kids will study here, they will do a good job of constructing the classrooms. We are an organization called the Round Table Hyderabad, we are starting this crowdfunding campaign with a goal of INR 4L, but it will have a stretch goal of INR 10L. We hope that generous funders like you will help us reach this goal and help a 100 students get a chance at a formal education. PIC: : Indicates the space where we will build the two classrooms. The members of the organisation include distinguished achievers in business, technology, medicine, law, finance, advertising, healthcare, hospitality, education, etc. As part of the "Freedom Through Education" program initiated by The Round Table India, the Hyderabad Deccan Round Table identifies needy Schools for underprivileged that are operating from dilapidated or open structures; schools that have land available but little resources to take up big ticket expenditures like Construction. This is where we step in and build School Blocks with Amenities and hand over newly constructed quality school Blocks to the school bodies. • Enabling quality education to 2000+ students annually by setting up 2 high schools from ground up with ₹1+ crore investment. • We are currently supporting 6 or more schools with their recurring needs annually. • We have delivered over 600 benches to multiple schools. • We drive CSR activities throughout the year with clothes, food, books, etc. • We plan to continue to further our reach & positively impact the society. Not only are we going to be building two classrooms for the ZPHS Janwada school, but we will build the classrooms in such a way that there will scope to construct more floors for the building. This can include more classrooms or any other such building that will help the children have better access to a better education. It costs 1000/ sqft to construct a classroom. The total area of construction is 1700 sqft. The construction needs to start from laying the foundation of the building. The two classrooms will also have the provision of building two more floors on top later. We hope to raise 4 lakhs through crowdfunding. The rest will be arranged for by the Hyderabad Deccan Round Table 189 through their networks. 1. 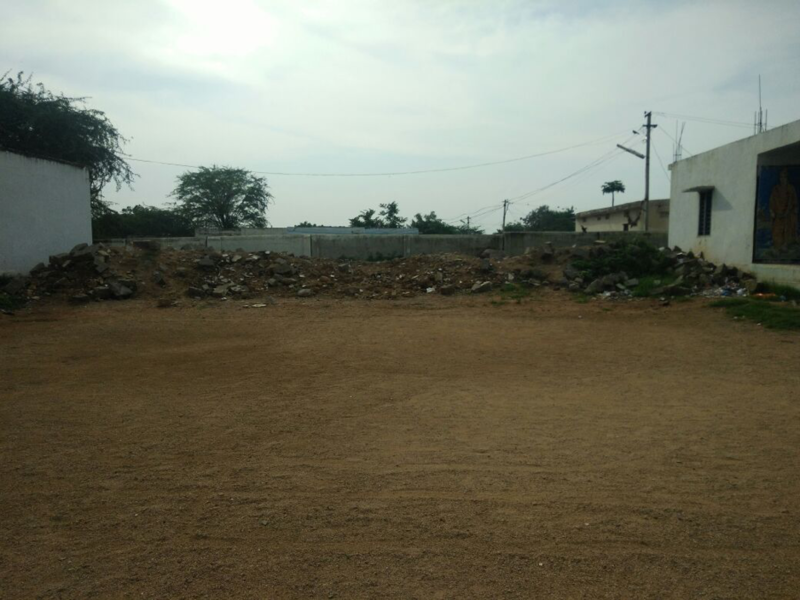 The construction of the building might get delayed due to reasons of delivery of construction material and low man power as the village is in a remote area of Rangareddy district. 2.There could be delays in the completion also because of strikes/ bandhs, acts of nature (floods/ severe inclement weather) etc. Thank you for your contribution. You will receive a shoutout on the Hyderabad Deccan Round Table FB page. As a token of appreciation, you will receive a personal email from Hyderabad Deccan Round Table Trust thanking you for your contribution. Thank you for your contribution. As a token of appreciation, you will receive a thank you card made by the kids in the school PLUS All of the above. Thank you for your generosity. The kids at the school will sing a thank you song for you. The song will be sent to you via email. A classroom will be named after you. Thank you for your generosity. As a token of appreciation we will name a classroom after you. Your name will also be mentioned in the donors list in the school and receive a thank you poster from the kids at the school.